Cover of the January 1st, 1911 issue of the Edison Kinetogram. 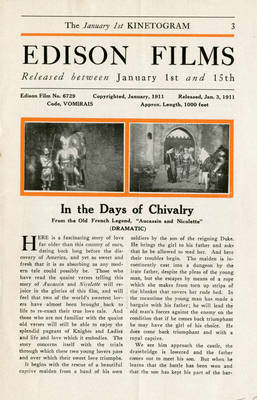 The 18 page publication highlighted Edison films released January 1-15. Magazine, black and orange ink, 9" x 6"